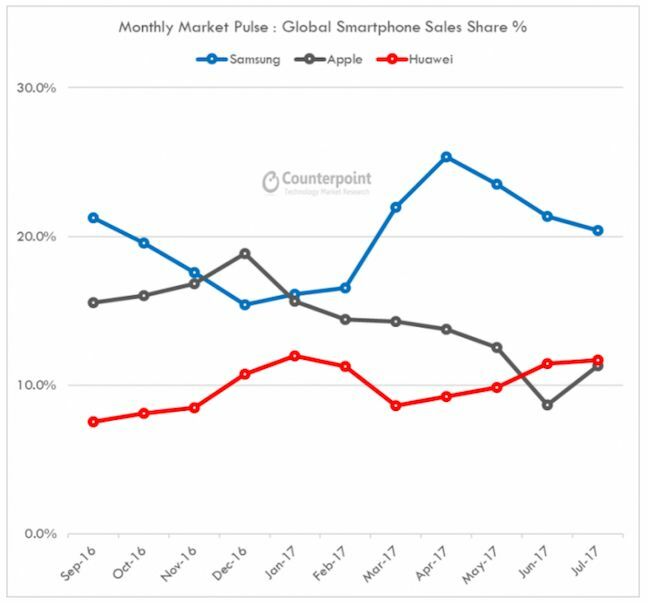 Huawei surpassed Apple for two months running this summer to be the world’s no 2 phone brand by volume behind Samsung, according to box counters Counterpoint Research. 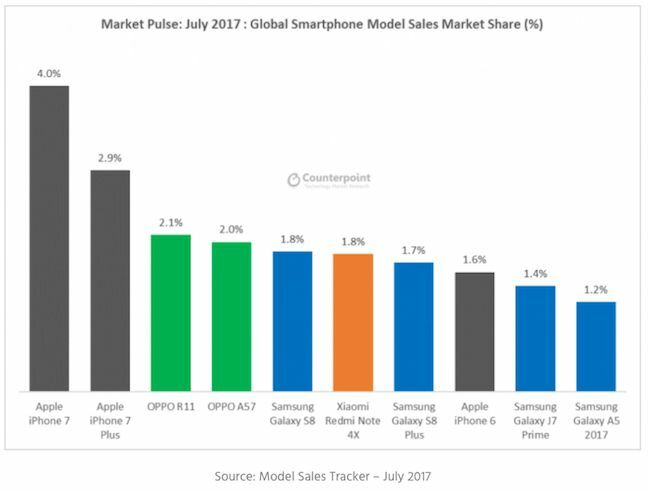 No Huawei phone is in the firm’s Top 10 devices, however, indicating the breadth of its portfolio, and its preference to hedge its fortunes across "Lite" and "Plus" variants of the same device brand, so there's no "hero" device. Huawei also markets phones under the Honor brand, although the distinction between value and premium is blurring. Much depends on how you define “brand”. According to Gartner, BKK Electronics – which owns the Vivo, Oppo and (effectively) OnePlus phone brands – seized the number 2 spot from Apple earlier this year by outselling Huawei 56.7 million to 34.2 million in Q1 2017. That’s calculated by adding up the estimates for sales of Vivo and Oppo phones. Former Nokia market intelligence guru Peter Richardson cautioned that Huawei was over-dependent on growth in its home markets, and where operators strongly influence distribution: in Latin America and EMEA. It’s behind BKK in India and South Asia. Then again, the same factors have inhibited Samsung and Apple in those regions, too.